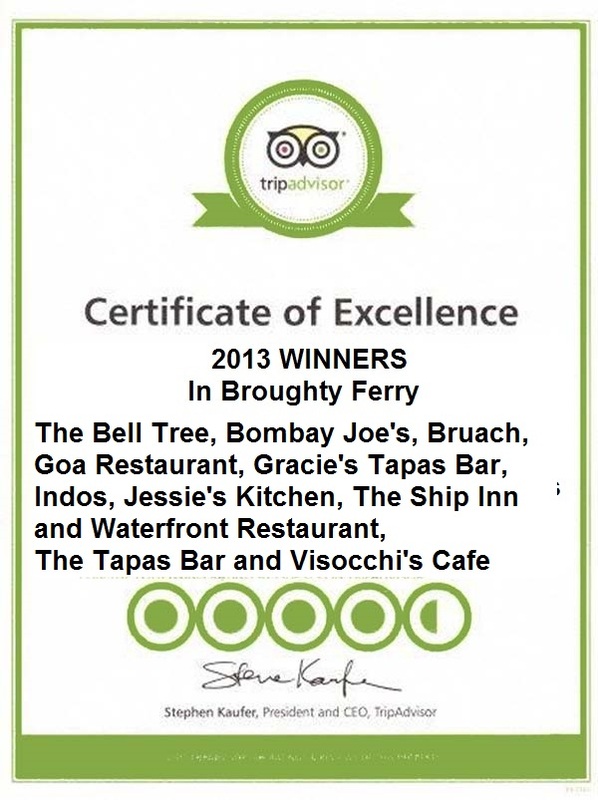 Ten of our restaurants and cafes in Broughty Ferry have been awarded the prestigious TripAdvisor Certificate of Excellence 2013. Now in its third year, the award celebrates hospitality excellence and is given only to establishments that consistently achieve outstanding traveller reviews on TripAdvisor. Winners of the Certificate of Excellence are located all over the world and represent the upper echelon of businesses listed on the website, with only the top 10 percent receiving the prestigious award.based on assessments by customers that are posted on the TripAdvisor website. 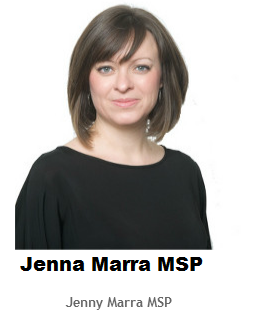 Last week, the Evening Telegraph reported the results of inspections undertaken by the Food Standards Agency throughout Dundee. Their inspections revealed that food hygiene standards in Dundee were highest in the DD5 postal zone. 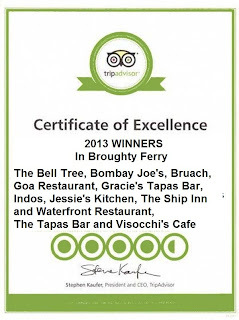 This was measured by Ferry eateries having the fewest improvements to carry out to meet the standards. I want to congratulate the proprietors and staff of restaurants, cafes and takeaway establishments in The Ferry who have won these awards and have meet the exacting food standards.